The captivating beauty of Kerala draws hundreds of tourists every year, who come in search of peace and quietude. The long coastlines, the mesmerizing backwaters, the lush green surroundings, the tiny hamlets, the luxurious houseboats, the exotic fauna, the tranquil hill stations, the sparkling waterfalls and the relaxing Ayurveda treatments; all make the state of Kerala undeniably a tropical paradise. 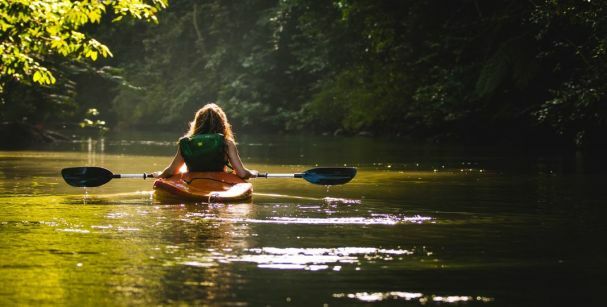 From adventure sports to relaxing therapies, from sightseeing tours to jungle safaris, from shopping to boat rides; the place has something for every traveler. With so much to explore and to indulge in, Kerala will not disappoint you. Whether you are a solo wanderer, a couple, or with friends and family; feel free to unleash the surprises that this place has in store for you. 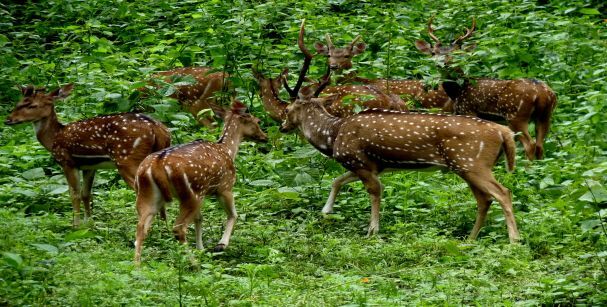 If you are planning to escape from your bustling, noisy city in search of tranquility, then it is time that you start looking for the best Kerala tour packages. So pack your bags and get ready to spend some of the most memorable days of your life in the lap of nature. You never know what Kerala might surprise you with! Kerala can easily be referred to as the ‘tropical beauty’ of India as it remains lush green irrespective of any season of the year. Kerala is a vacation paradise for people with different interests as it is home to several quaint beaches, exotic wildlife, ancient architectures, hilly terrains and the list goes on. Are you soon going to get hitched with your beloved and plan on making your honeymoon a magnificent affair in Kerala? Well! Kudos to you for choosing such a wonderful destination to spend your honeymoon days! Kerala is indeed a must visit spot in India and as it is a treat to the eyes once you step into the region. Surrender yourself to the beauty of Munnar, a serene town nestled in God’s own country. A former resort of the elites during the period of British Raj, this town stretches over to the Western Ghats and is now a popular tourist spot. Home to some of the best waterfalls, peaks and lakes, this little town is no less than a paradise on earth. It offers breathtaking views of the surroundings, and is ideal for the ones seeking some quietude. 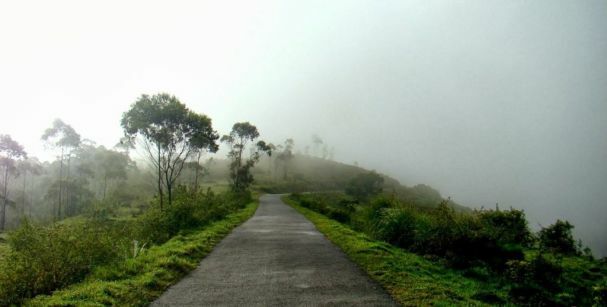 If you wish spend some quality time with your partner, Munnar is just the place you must visit. You can book the best Munnar honeymoon package for a memorable time. Away from the bustling city, Munnar is a perfect hub for rejuvenation, romance and adventure. You can go for nature walks, enjoy boating, head to the tea estates, indulge in some bird watching and soak in the serenity around you while on your visit. So pick from the best honeymoon packages in Kerala and make the most out of this romantic getaway. 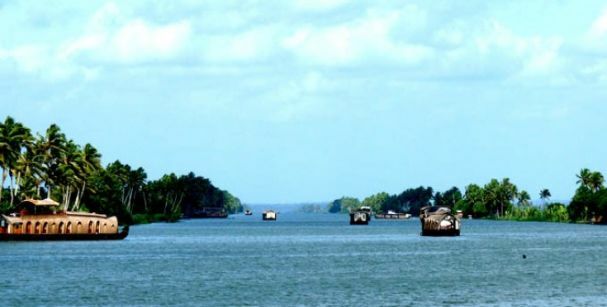 Take a trip of the city of Kochi, the commercial hub of Kerala. The largest assemblage, this city served as a port as well a battleground. Backed by a legendary history, this place attracts a large number of tourists because of the beauty that it exhibits. A home to some of the best picturesque locations, Kochi is every traveller’s delight. 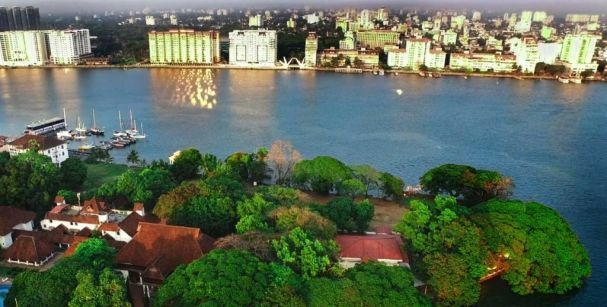 Visit the majestic fort of Kochi alongside the Vembanad Lake to experience a scenic view of the surroundings. Take a tour of the backwaters of Kochi on a houseboat. Visit the museum of Kerala history to gain insights into the history and the cultural heritage of Kerala. 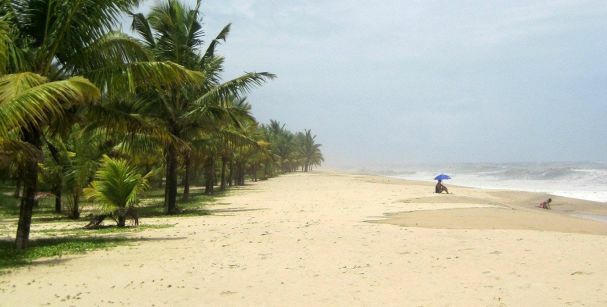 Head to the Cherai beach for a lazy evening. Do not forget to visit the Marine drive, loaded with shopping complexes and some classic restaurants. If you are planning for a romantic getaway with your partner, then Kochi is perfect destination for a quaint, romantic vacation. Book your ideal tour itinerary from a range of Kerala honeymoon tour packages and get ready to capture some amazing memories with your better half on this dreamy retreat. 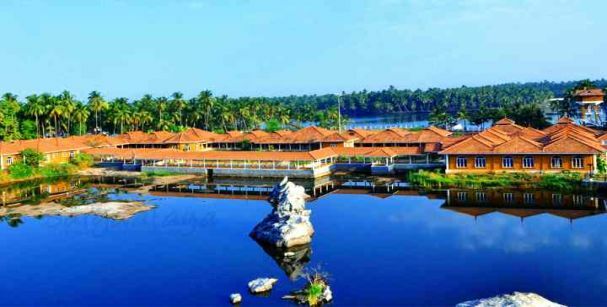 Without any second thought, Kottayam is one of the best places to see in Kerala.Due to its thick tropical forests, tranquil backwaters and hilly lands, Kottayam attracts an abundance of tourists from and outside India. This place consists of not just ancient architectures but also remarkable museums which showcase the true talent of the artisans of Kerala. 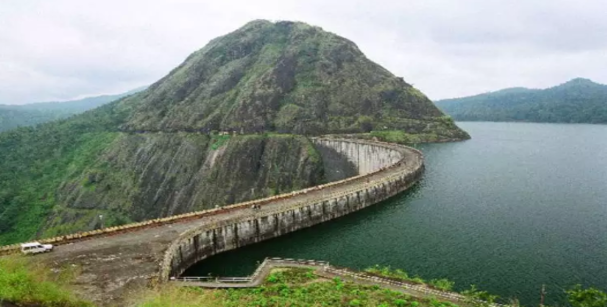 One can easily get captivated with the beauty of the Elaveezhapoonchira and how it offers a picturesque view of the entire region.People with a hope of boosting their Kerala vacation and make it more exciting can try their hands on kayaking and Paragliding in the ecstatic region of Vagamon. In addition, savoring your taste buds with an extensive range of Cuisine from South Indian to Continental is a must to try in Kottayam to get a real taste of Kerala’s culture. Get the best deals on Kerala trip and make your Kottayam getaway affordable and stress-free. We have the best honeymoon packages in Kerala for the newlyweds and also other Kerala packages for family and friends. Also known as Calicut, Kozhikode is a well-famous city in the state of Kerala and was once called City of Spices due to its contribution in the Spice trading business centuries ago. Being a beautiful mixture of history, art and culture, Kozhikode offers its visitors with countless opportunities to witness the real Kozhikode and the true essence of Kerala. From beaches to backwaters and hills to Wildlife, one can treat their eyes with anything that interests them. To relax in the coastline, there are plenty of beaches to choose from. Getting a sudden urge of indulging in some adventurous activity? No worries! Trekking on the hilly terrains is the best way to relax your adventurous soul. Besides, the houseboat cruise is sure to take you on a dreamy world which is full of peace and exquisiteness. One can even engage in the beautiful task of bird watching and see lots of native and migratory birds to make their end their day with being at peace. Also, do not forget about the delicious authentic food of Kerala served in the best restaurants of Kozhikode.Get our cheapest Kerala tour packages for family and spend your holidays with utmost happiness. Kollam is a wonderful place full of rocky hilly terrains, stunning landscapes, amazing architectures and perfect weather. Kollam is also known by its old name ‘Quilon’ and falls under the best places to visit in Kerala. One can sightsee various places which is sure to make you awestruck with their magnificence. With the huge waterfalls spouting water through the rocky territories, to giant architectures which proves to be a sight to behold, Kollam is indeed a land of sheer excellence. Apart from these, one can enjoy the Houseboat cruise in the Ashtamudi Lake and get mesmerized by the serenity of the backwaters. 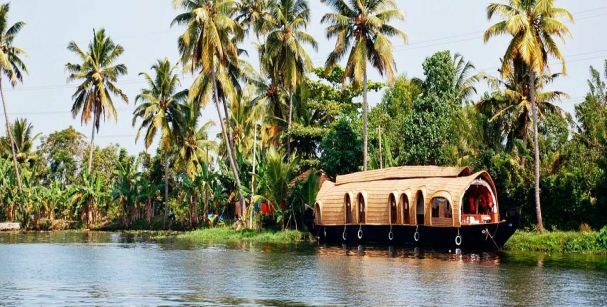 With our exclusive Kerala houseboat packages, you can get the best Houseboat experience at reasonable costs. In the midst of such wild exploration of Kollam, do not miss out on the lip-smacking food from the best of the restaurants in Kollam serving unlimited cuisines ranging from South Indian to Italian, Chinese and Continental as well. Get the complete insight of the true radiance of Kollam by seeking help from us for your next trip to Kerala. Known as the Pilgrim Capital of Kerala, Pathanamthitta is among the top tourist places in Kerala and is home to the second largest pilgrimage in the world. 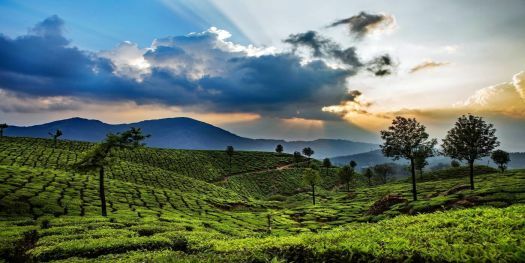 Apart from that, Pathanamthitta is also known for its beautiful lush green forests, amazing mountain brooks, and divine atmosphere.In your Kerala trip, you must include Pathanamthitta in your list of must-visit places.This Holy region is not just for the religious people but also for the ones who are truly interested in exploring the beauty of this city. 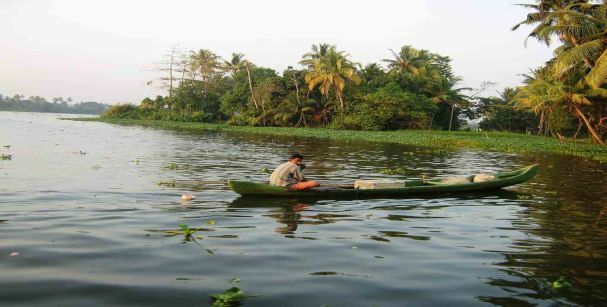 With having glorious waterfalls, exciting snake boat race and captivating forest reserves, the people have many options to decide which place is the best to see as per their preference.For the adventurous souls, bowl boat riding is one chance to glide over the serene backwaters of Pathanamthitta and witness the greenery and calmness of the glistening backwaters.You can benefit from our Kerala backwaters tour packages if you are keen on exploring the backwaters of Kerala. However, do not miss the opportunity of tasting the best of the South Indian meals and other cuisines from the top-rated restaurants of Pathanamthitta.